Not the actual High Sierra! The latest news on the PCT this year is the “Snowpocalypse”: Extremely greater than average snowpack levels in the High Sierra. Social media, the hiker grapevine, and even outdoor publications talk of how dangerous the conditions are at this time. And there have been some legitimate hairy moments. But why this year? Is it something beyond dangerous conditions? Is the danger partly from going too early? And is there perhaps a bit of hyperbole? People are sticking to a traditional thru-hike schedule despite the conditions on the ground. Though this year is by most standards a record high, there have been other years in the High Sierra that also saw record snow levels if not quite as high. The High Sierra saw a very high snow year in 1998 as well. Parts of the Sierra snowpack was floating around 300% of average. The few PCT hikers of that time walked around the Sierra, flipped, or even went on the Appalachian Trail and south bounded. Only a handful that year did a traditional thru-hike on the PCT. And they had the skill set I suspect. And there was no social media to fan the flames, either. More people are thru-hiking the PCT and the overall experience level is lower. Because people are committed to a thru-hike months, a year, or even more in advance, people seem to dig their heels in and affect an “I can do it!” attitude. While mental aspects of thru-hiking are necessary, without the skills, knowledge, and reasonable assessment of the conditions people are going to run into some trouble. To me, this is the most important part of having the appropriate experience level. Not having the skills to do what is essentially mountaineering or extreme river crossings, but rather knowing when to say “Eh…let me give it some weeks to melt out” instead. A good friend of mine grew up backpacking in the Sierra. When I mentioned the number of people attempting the PCT in early June, he was incredulous. Those dates are early for a typical snow year, never mind this year. 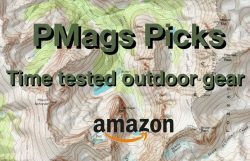 With so many hiking the PCT in what are early season conditions, no surprise there are many close calls. No different than if magically hundreds of CDT thru-hikers decided to hike the San Juans in early June for some reason. Even in an average snow year. And, oddly enough, I think having Appalachian Trail thru-hike experience can be an issue here, too. Because a person walked on a trail is pretty much three-season conditions, if colder, most of the year (other than northern New England), having this one thru-hike under the belt may give a false set of expectations. 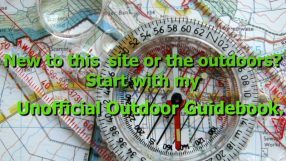 Meaning, a person can do a “plug and play” trip and simply walk from A to B, just follow the trail without having to adapt, be flexible, have more than three-season backpacking experience, and even perhaps choosing alternate plans. The vision of thru-hiking is going from A to B in one continuous line. Flip-flopping? Getting off the trail and making side trips for a couple of weeks or even a month while waiting for the snow to melt? Pah-shah. Admittedly this is a lesson I only learned myself in the past decade. The lesson? That it is OK, and needed, to be flexible in outdoor pursuits. Especially when you get off well-maintained trails (which is what the PCT is when there is snow above it! ), being flexible with a route is very much needed. And that sometimes the best outdoor experiences are not on an #EPICTHRUHIKE. The best outdoor experiences can be something as simple as spending time in the redwoods, Joshua Tree, or other nearby areas for a little bit. Enjoy the gift of time and worry about the thru-hiker cred some other time. “The smart hiker who made some side trips had a great time outdoors, came back to finish the PCT and told all her friends about it” does not make for good copy. 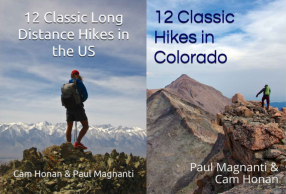 Nor does the “experienced backcountry skier and mountaineer who enjoyed some time on the PCT this year” make for exciting Instiweb-book posts. The #EPIC tale of attempting to conquer a popular trail is what gets clicks. Gear companies love it for their copy, the gnarly Instagram photos get shared around, and we can all look like bad asses. Being a bit more serious, be it this year, next year, or for your weekly vacation, being flexible and having alternate plans at the ready is something we should do when spending time outdoors. The conditions are indeed difficult now and perhaps dangerous without the proper experience and skillset. But so is a late spring ski tour in June of the San Juans in Colorado. No sense in pushing through with a set itinerary just because that is what you planned a year ago or because of what others have done before. Esp if you don’t have the proper skill set or experience. Wait a bit, enjoy the gift of time, and come back when the snow melts a bit. It won’t be #EPIC, but it will be more enjoyable. A thru-hike of the XYZ trail is rewarding. But spending weeks or months outdoors and enjoying yourself is perhaps the most rewarding experience of all. Regardless of what was done. One reason that so many went in early was based on advice from a overly vocal snow skills “guru”. Couple this with short term perspective, the last few years saw hoardes of hikers going in way before Ray Day and the impact the permitting process that saw many more people going early just to get a permit. This put hikers in the position to enter early but few had ever experienced anything close to the what they would see in a high snow year. In reality, if folks did adjust their schedule like you suggested then they would have found much easier conditions in the second half of June which by the way is the traditional thruhiking window of Sierra hiking. The snow coverage and stream crossings were actually lower during this window than other heavy years, such as 2011. Finally, I was shocked at the amount of crappy advice that was floating around the web about this epic year. This ranged from everyone can do it with Guthook app to everyone will die. The truth is certainly somewhere in between! As mentioned, my friend was dumbfounded people were backpacking so early in the Sierra. This “issue” is beyond thru-hiking. Just something most people do not do. The challenge of modern society is we can’t figure things out by ourselves, We need to ask our peers what to do and they usually don’t know, Or we ask Google, who directs us to some self-proclaimed expert. Paul wrote an excellent post on this a while back were he quoted someone who had a great list of things people should be able to do. Maybe he’ll post a link to it here. It also happens to be an excellent post. 1) No Rain, No Pain, No Maine – it works back east. You can hike the whole trail at any point of the year (northern New England excepted). Out west, forest fires don’t care how gritty you are – you ain’t going thru there. If you’re coming from an eastern hiking background, you probably don’t understand that certain conditions aren’t just unpleasant, they’re impossible. 2) After 5 or 6 low snow years in a row, I think PCT hikers have been lulled into a “new normal” – all their friends who hiked last year, two years ago, have been leaving KM in late May or early June for years now and it’s never been a problem – so they push it back a week or two this year to account for the heavy snow. Unfortunately, they don’t compensate enough, time-wise, for just how big the snow year is in comparison to all the other recent winters. 3) I’d venture that people feel more time pressure now on the PCT than they used to. With more people on trail and people with less experience on trail, I’d guess that the average PCTer takes longer to complete a thru-hike as opposed to, say, a decade ago. More time pressure means earlier starts in the Sierra. Good point, esp #3. More of a social experience vs. years past. Meaning? More time in towns. Which is why thru-hike times are going up on the more popular trails IMO. This year many of the JMT trail portions of the PCT have large sections that are still snow covered. Orienting skills are paramount. All of the passes are snow covered and creeks are deep, fast and cold. For example the Evolution Creek crossing was neck deep. Grizzly Creek between Florence and Edison Lakes was impassable and folks had to take the road from Florence to Edison Lake. Kaiser Pass was not even open until late June so Vermillion Resort at Edison was not open either and it is a restocking point. Why not skip the JMT section, finish the PCT and come back and do the JMT last? I am most interested in a doable snow year itinerary- at which points to leave the trail, where to hop back on) on this epic snow year, starting at the traditional times. Or alternatives such as starting at a point north which is not snowbound in early June and heading SOBO to allow for Sierra melt. I have open time late May to early August only and I’ve already done section A. Next year isn’t an option. I’d ask this question on the appropriate social media group such as found on Reddit or Facebook. You’ll get much information from experienced Sierra hikers. This article’s publication date is June 2017 BTW. What I quoted in the nearly two-year-old article may or may not apply to this year.